Your children at our centre connecting with nature. 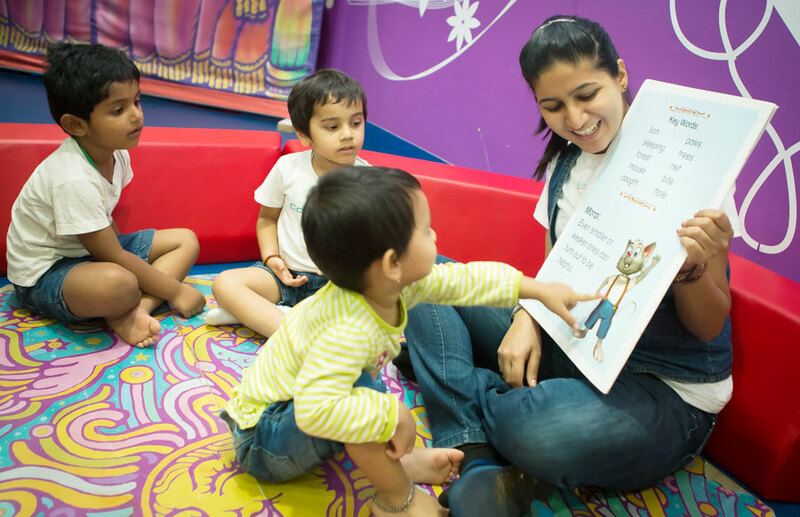 Interactive story telling allows your child to engage and explore. A home away from home- A warm, safe, friendly and nurturing environment that helps enhance the child’s all around development. The World of Wonder program at CosmiKids™ is designed to foster creativity, emotional, physical and social development, knowledge and understanding of themselves and the world around them, and confidence to help them to become Self-Assured learners. The CosmiKids Day Care is run by trained experienced care providers who enjoy teaching and caring for children. The most striking benefit to our child care is how your child’s emotional, social, intellectual and spiritual development needs are addressed by our expert care providers. Day Care is a great boon to thousands of working parents. Quality child care is not available when the child is either left with a servant or in a crèche. 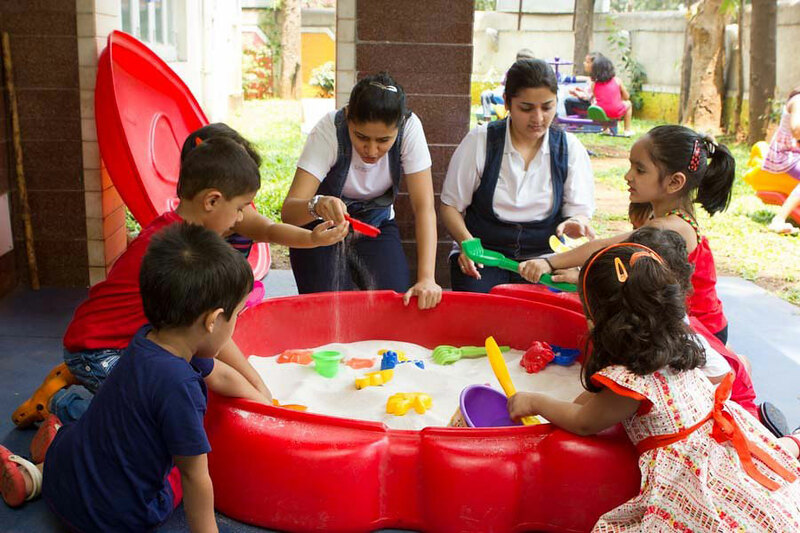 The Cosmikids Day Care provide a safe and caring atmosphere that ensures that not only the child feels at home, but also his/her emotional, social, intellectual and spiritual development takes place. 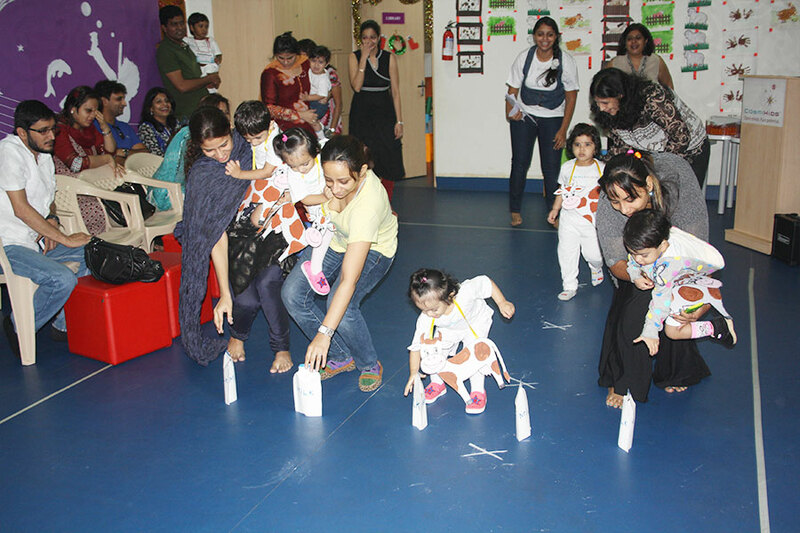 Good child care is like good parenting, therefore at Cosmikids Day Care your child is observed, encouraged and supported by our expert care providers, thereby ensuring you a stress free time at work. The CosmiKids™ Activity Center is designed specifically for your child to foster creativity, emotional, physical and social development with knowledge and understanding of themselves and the world around them. Through play, they learn and gain confidence helping them become Self-Assured learners. From Puppet Planet and Tender Tykes to Process Art, Angel Bear Yoga and more, we have a wide variety of ways to entertain and educate your child. Learn More About Activity Center. The CosmiKids™ Event/Workshop is designed specifically for your child to foster creativity, emotional, physical and social development with knowledge and understanding of themselves and the world around them. Through play, they learn and gain confidence helping them become Self-Assured learners. From Puppet Planet and Tender Tykes to Process Art, Angel Bear Yoga and more, we have a wide variety of ways to entertain and educate your child. The Only child in our school is yours. With a Healthy student to teacher ratio of 8: 1 we provide personalized attention to your child. 1000 Sq feet lawn encourages your child to play outdoors and connect with nature. Multi – sensory learner centric environment. At Cosmikids we focus beyond academics to teach you the life skills that are required to survive and thrive in the real world, in a loving heart centered way.